We had a snow day where I live, a storm dumped a lot of packing snow on top of the snow we already had on the ground. I could not let all that snow go to waste! 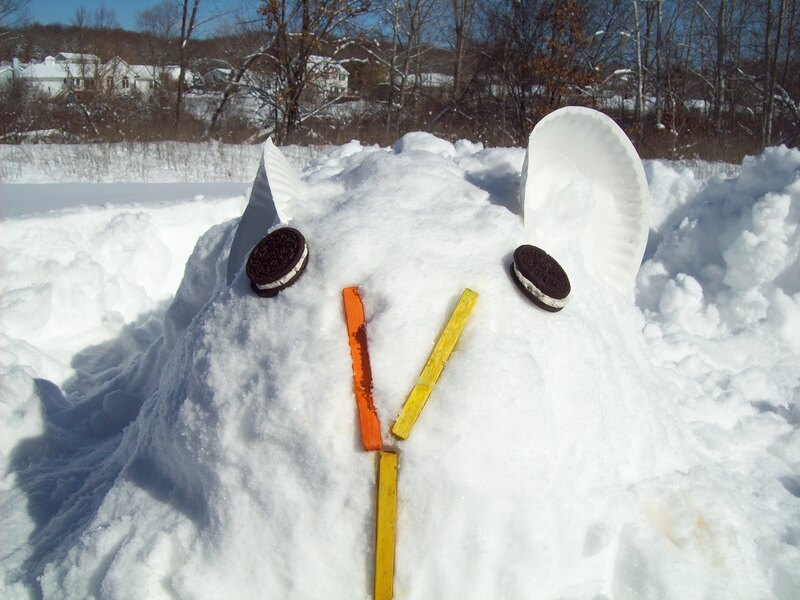 I decided to make snow guinea pigs instead of snow men. In retrospect, I could have done a better job with better supplies. I do not own snow pants or water proof gloves so I was not prepared to be outside for a long time and the snow kept sticking to my gloves so it was hard to sculpt. 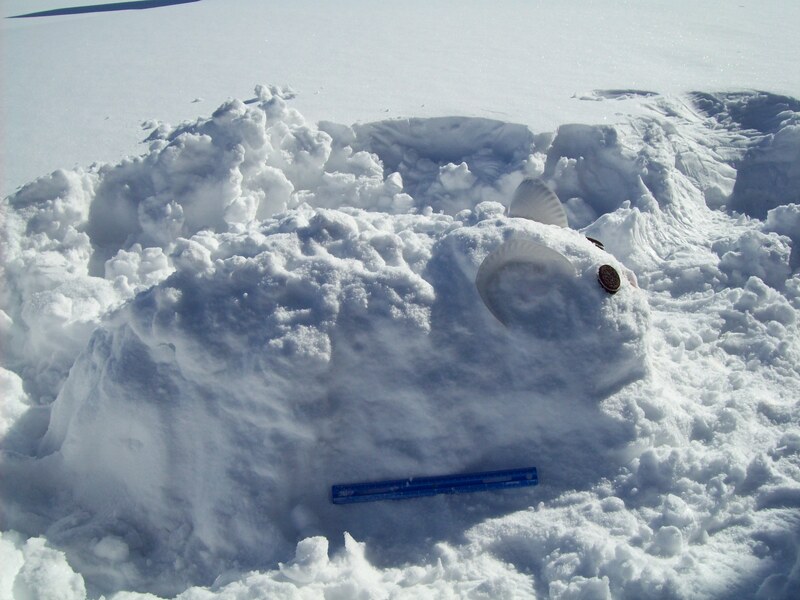 I also did not have anything to move a lot of snow or forms (boxes, bucket, etc.) 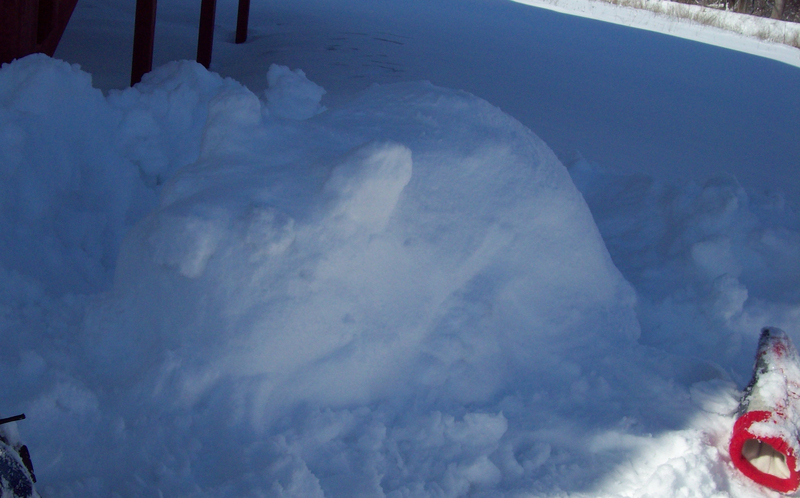 to pack snow into to make a base to begin sculpting from. But I had a lot of fun and investing in such items would be worth it to prepare for future winters. 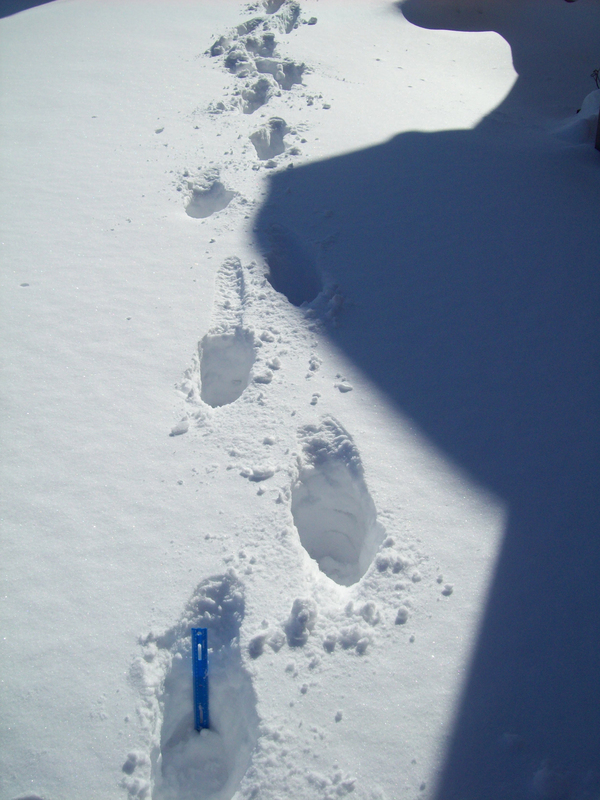 The hardest part was getting far enough into my yard, the ruler in the picture fits all the way into my footprint. It was almost up to my knees in certain places but I feel like this picture gets the idea across. 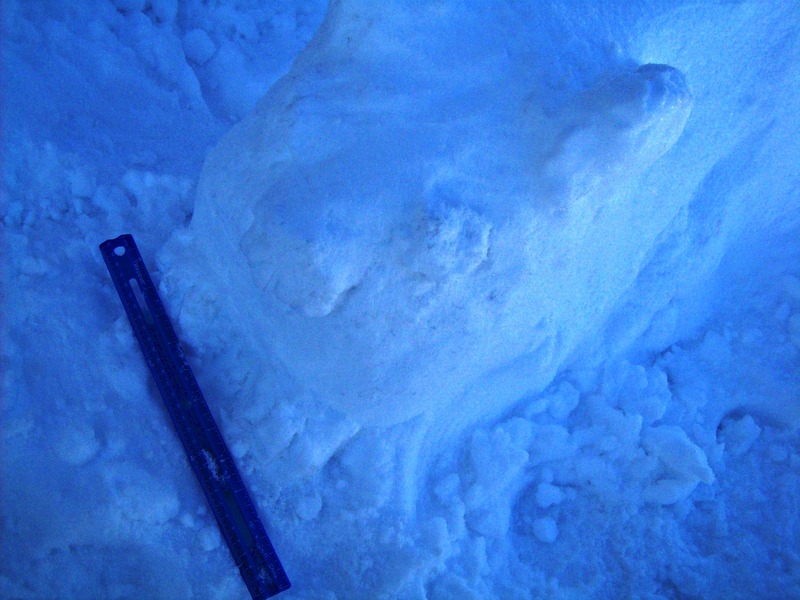 I started by sculpting a guinea pig out of snow to look like my English pig Fizz. It was incredibly difficult to take a good picture of her where she was located and with the sun and shade, so I increased the contrast of the picture to make her features a bit easier to see. Ruler is included for scale. Better gloves (with synthetic water proof fabric) would have prevented all the snow stuck to my hands that made creating her face almost impossible. I would have loved to make her ears and nose differently, but I am satisfied with my first attempt. 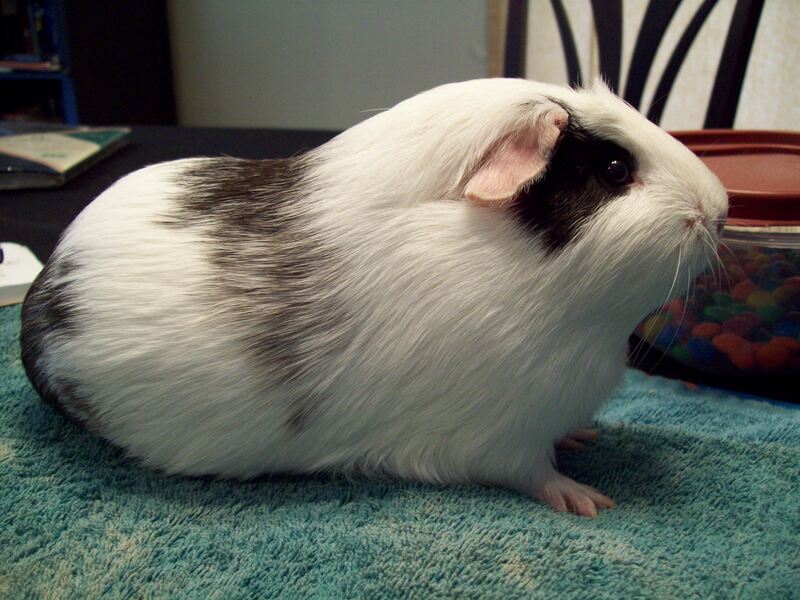 I made a second snow guinea pig for my Abyssinian guinea Cola. She has paper plate ears, Oreo eyes, and small animal flavored chew sticks for nose/mouth. You can see my red snow encrusted gloves on the ground next to her, abandoned while I took pictures. From the side, with ruler for scale. Here is a close up of her face and front paws. It was much easier to take pictures of Snow Cola as she was more in the sun and my attempt at making her look furry gave her more definition from her snowy surroundings. 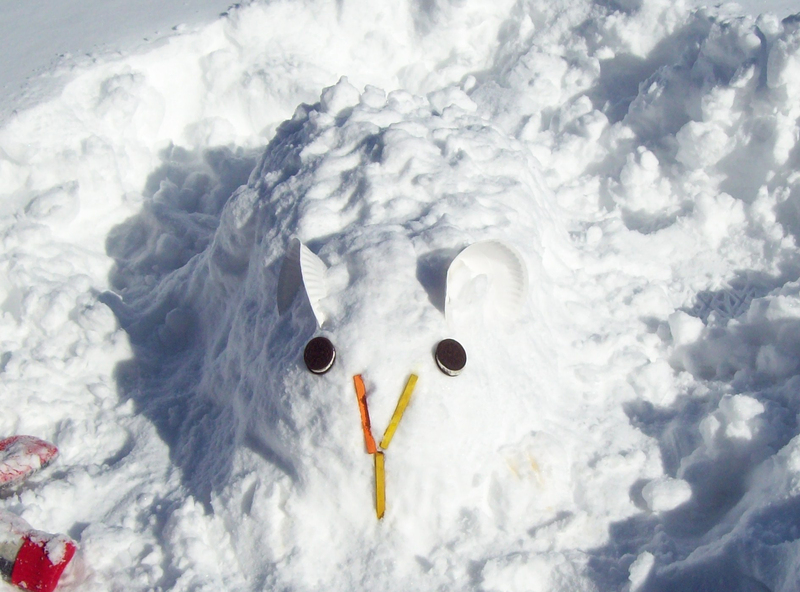 Have you guys ever made any snow animals or sculptures? 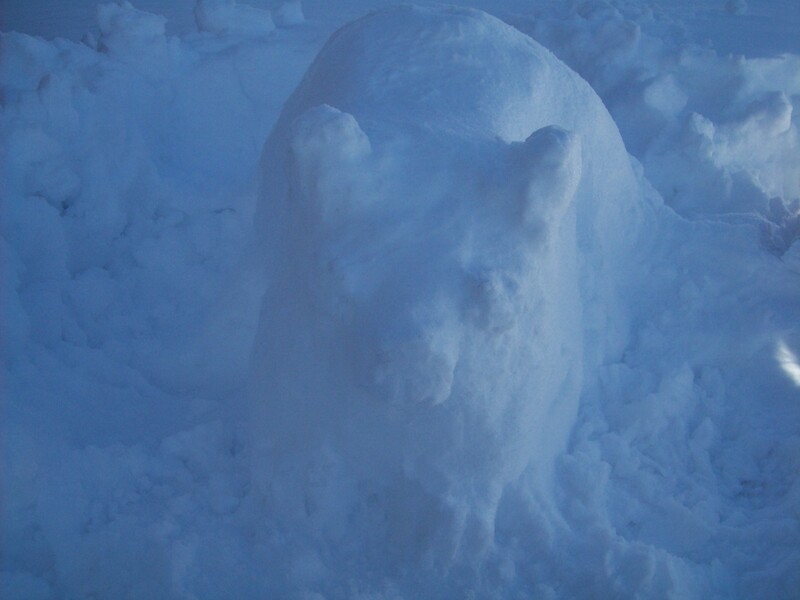 It was really fun and I would love to try making bigger and better pieces next time we have a lot of packing snow. 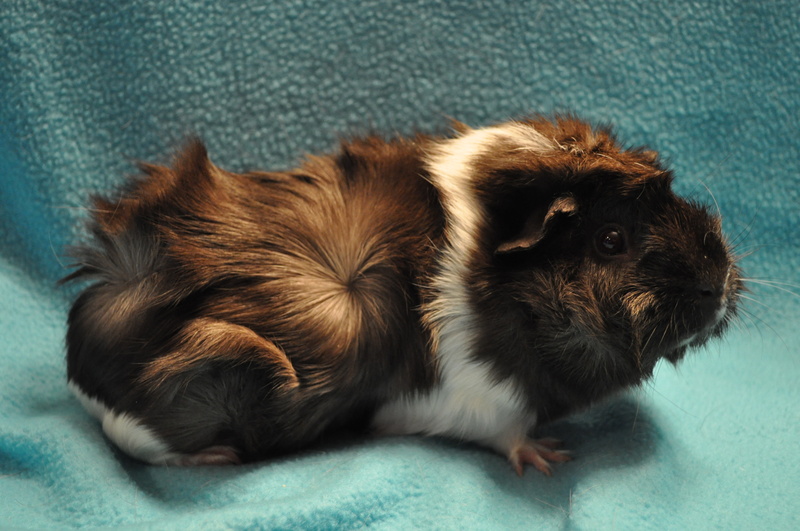 Many eons ago (when I was a little girl) I had a guinea pig and a friend of mine had one that he brought over to visit mine. Needless to say, several months later we found a precious baby in the box with my g.p. So we named it “Impossible” and called it “Imp”. We lived in Germany at the time and when we left to come back to the States, we had 14 g.p.’s and we gave them to a farmer friend of ours. He was going to start a g.p. farm and raise them. As a mother, my children have enjoyed many g.p.’s. But the one that we all love and remember the most was “Howard Cosell”. I went to look at fish in a pet shop one day and heard a loud whistle coming from somewhere in the back of the shop. The owner said it was a g.p. and I ended up buying him. I called him “Howard Cosell” because of his loud voice. He always let his presence known. One time my family had to go away and we needed someone to watch and feed him. We kept him in an aquarium so my girlfriend said she would do it. They also had to go away so they took Howard with them. He was well-loved and travelled. The husband even taught him to ring a bell that was hanging from a cabinet knob. What a character he was. So much fun and lovable.